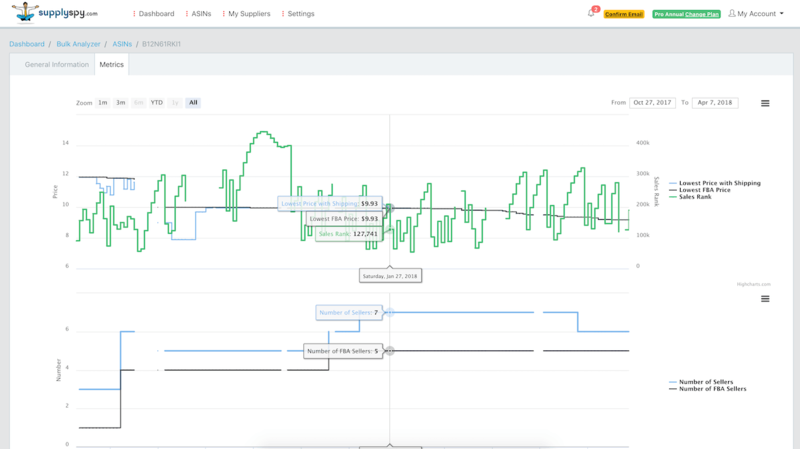 SupplySpy is the only web-based solution that lets you analyze supplier wholesale price lists and calculate profits in bulk. As Amazon Sellers ourselves, we constantly faced time-consuming research issues. No Amazon wholesale tool on the market provided cost-efficient bulk analysis. Other software either didn’t produce the metrics we were looking for, lacked accurate data, or was so over-priced that it was out of the question for a medium-sized seller. SupplySpy covers all the basis -- it takes into account shipping costs, multi-packs, referral fees, pick & pack costs, monthly storage, inbound shipping, and more. The software even allows a user to assign products to specific suppliers to easily track overall supplier profitability. Nothing to install on your computer, no downloads or worrying about upgrades. Log-in to your account from different computers. No need to work with large and clumsy Excel files. 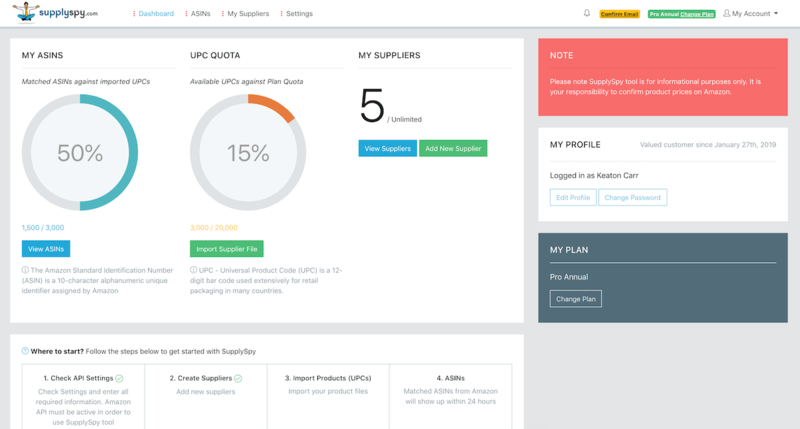 Upload your supplier files once and let it run for an unlimited time. No need for daily re-uploads. 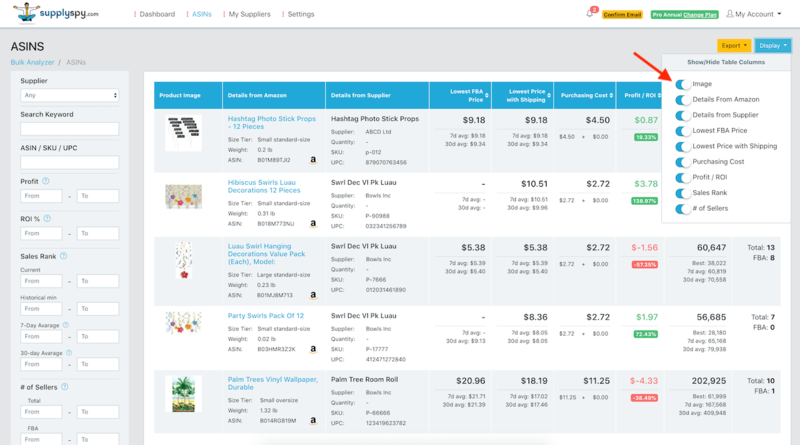 Only re-upload supplier files when new products are available or supplier prices change. Instantly turn on/off any column or filter based on your preferences. Don’t get overwhelmed with all the information and leave only what’s important to you. The longer you use the software the more information becomes available on your ASINs as our tool tracks data automatically each day. Check and search by 7-day or 30-day average sales rank, see price changes, price averages and much more. 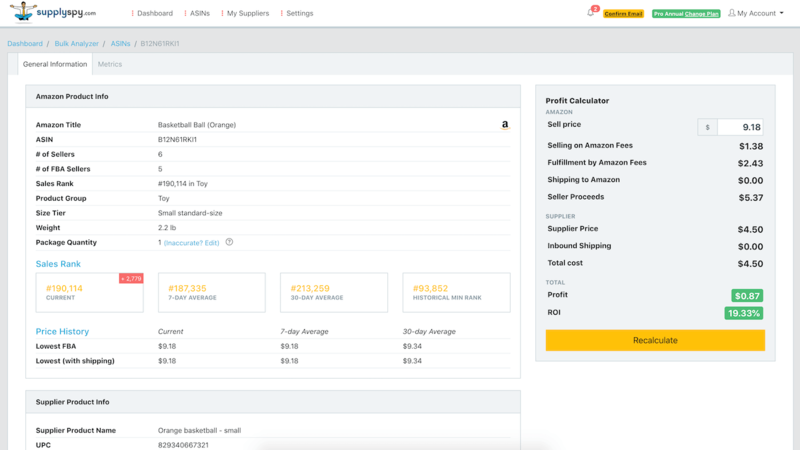 Calculate profits based on lowest FBA price or lowest price (including shipping). 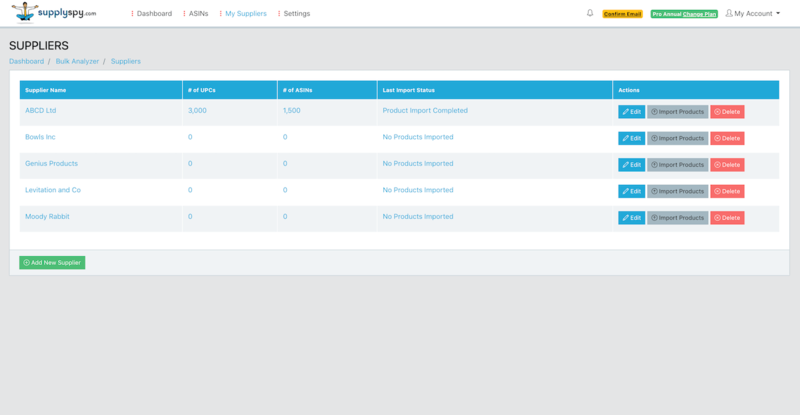 Supplier shipping settings can be added for suppliers that charge extra to ship products to you. We love SupplySpy software and we think you will love it too. We never stop improving and new features are added on a daily bases. Have an idea on how to make it even better? Don’t hesitate to contact us today. Simple, straightforward pricing that fits your business size and needs. Try SupplySpy free for 7 days.